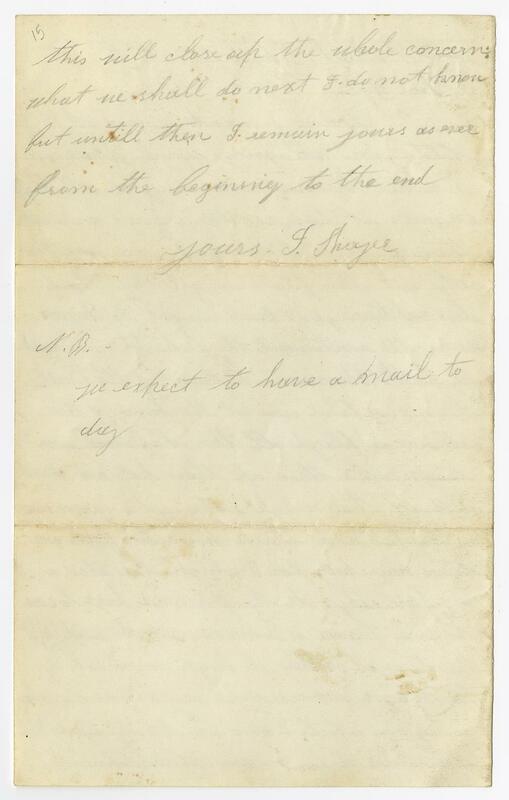 Item Description: Letter dated 16 April 1865 from I. Shoger to his wife. A Union soldier stationed in Raleigh, North Carolina, Shoger writes to his wife about the excitement surrounding Lee’s surrender. 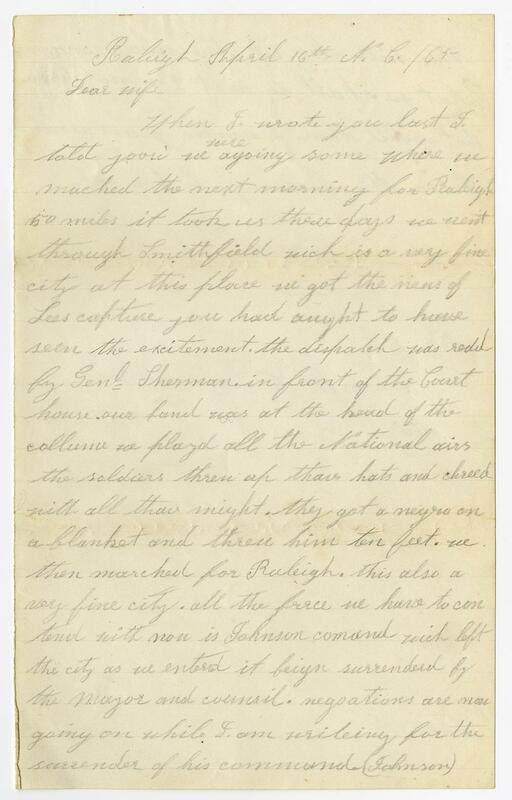 This entry was posted in Southern Historical Collection and tagged Federal Soldiers' Letters, General William T. Sherman, Lee's surrender, Raleigh N.C., Smithfield (N.C.). Bookmark the permalink.